Why is God taking so long? Why Me, Why This, Why Now? AIWP Miracles Ministry, a 501(c)3 nonprofit org. All donations, large and small, are appreciated! Share your MIRACLES and Prayer Requests with us! by Robin Duncan, including 150 Prayers for Everyday Living. you during times when you need support. Audios may be purchased separately or as a set. Here’s a Taste of What We Do! 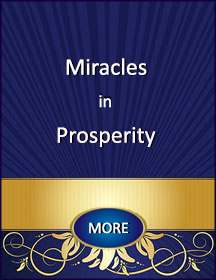 In this in-depth 4-Part Audio Series on Miracles in Prosperity, Robin Duncan will help you identify and neutralize what is blocking your consciousness of abundance based on the principles of A Course in Miracles. You will discover what is keeping you feeling “stuck” in the experience of scarcity and struggle, and then show you your whole way out. Find out what A Course in Miracles has to say about abundance and how it is your natural God-given right to know the greatness of God’s Love (along with the means to recognize it) in all aspects of life! 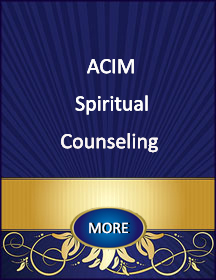 This series is being offered at a special low price (78% Off) to help ensure that those who desire a happier and more prosperous life have the necessary tools to get there. If you would like to raise your consciousness of abundance and do not have the means to purchase this series, please request financial assistance by emailing us at: support@fasttracktopeace.com and we will fund it for you. No one will be turned away for financial reasons. This series is likely to change your whole way of thinking and it is too important to miss. New Perceptions lead to New Results. Buy now for yourself or as a gift for someone you love! Also, enjoy a FREE Module Below with Full Access! of challenge, illness, financial stress, or difficulty. to bring comfort and spiritual strength to any situation. Online Course – START Today! Absolutely Free Gift for You! for your willingness to be of service to others!